Ahh ramps, a beautiful symbol of spring! You may have witnessed the hushed whispers, or the full-on mobs at the farmers market when ramps appear. Ramps are foraged and have a very short season, which has made them elusive, exclusive, and a spring staple at every hip restaurant. It’s safe to say, many wait at baited breath all year long for these. Oh, and speaking of breath, some worry about the bad breath that the strong garlicky/ onion-y smell of ramps could give you, but we think it’s well worth it 🙂 It’s go time! How are they different from: scallions/ leeks/ shallots? Ramps are smaller, more delicate, and more leafy than scallions, stronger than leeks, and more pungent/ garlicky than shallots. Tips for buying: Be ready to shell out a little cash- ramps may be more expensive than other similar greens, since they are typically foraged. And go early in the day to the farmers market- they often go fast because of their short season! Tips for cooking: Don’t assume they’ve been washed- these little guys have a lot of crevices, so rinse thoroughly. You can eat both the leaves and the bulbs- the bulbs are great to freeze (as they freeze much better than the leaves). 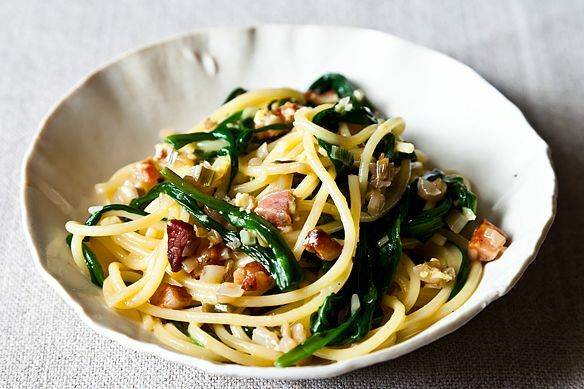 Wishing you a lady and the tramp pasta sharing moment with this one 🙂 This calls for a pound of ramps, which is a lot, but makes it the star of the dish. Cut the ramps into long ribbons, so they get intertwined with the pasta when you twirl. Method: Slice ramp leaves into 1/4 inch ribbons and separate bulbs. Whisk together eggs, parmesan, and pecorino in a bowl. Cook pasta in a large pot of well-salted boiling water and leave al dente. Heat olive oil in medium skillet, add pancetta and cook until crispy. Add white wine and cook until reduced by half. Remove pancetta and add ramp bulbs. Cook until soft (about 5 mins). Add ramp leaves, cook until wilted (about 2 mins). Add drained spaghetti to skillet, pancetta, and pour the egg/cheese mixture into the hot pasta. Remove from heat, and stir for 1-2 mins until eggs are cooked. Squeeze your lemon over pasta and enjoy! 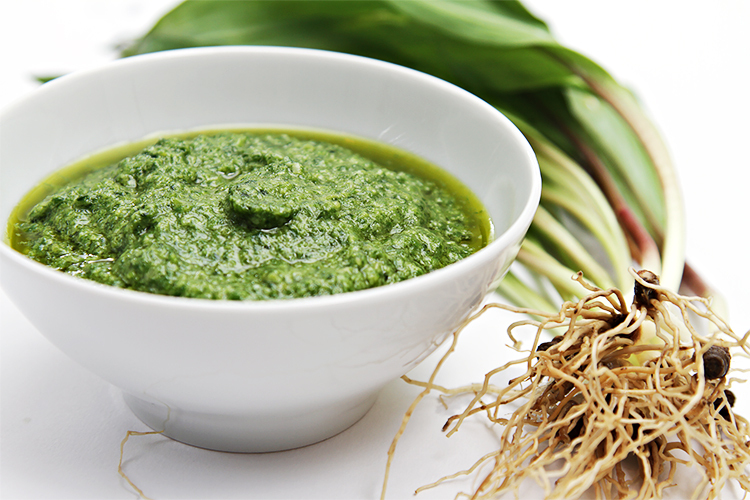 Pesto is a great use of your ramps, and will give you a slightly different flavor than using garlic. Spread this on almost anything- the possibilities are endless. Method: Heat butter in a pan and sauté ramps for 2-3 mins. Cool to room temperature. 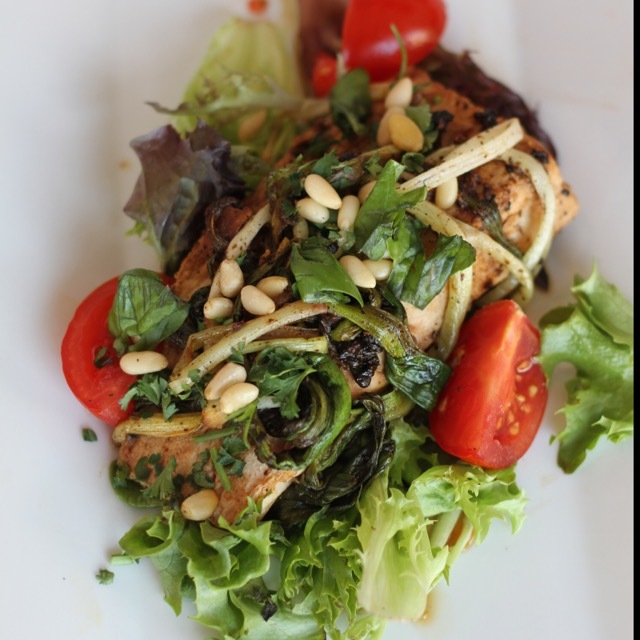 Add ramps, lemon juice, pine nuts, parmesan, olive oil, and salt to food processor. Process for 1 to 2 mins. Refrigerate to up for up to 3 days, or freeze. 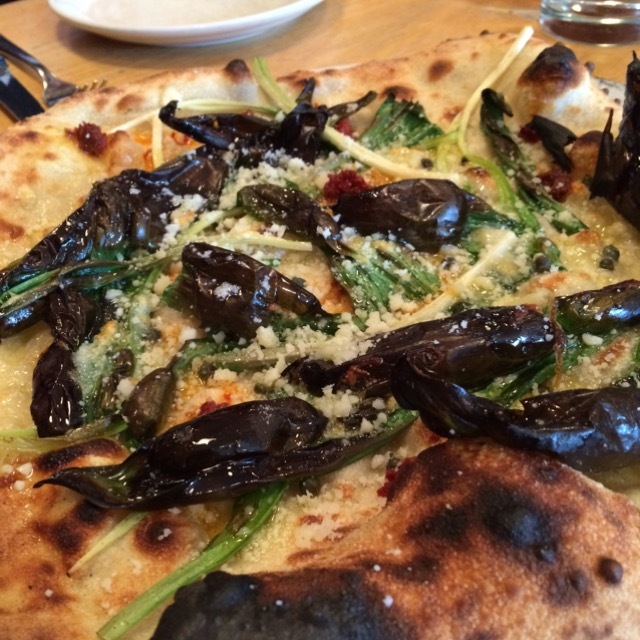 A heavenly crostini treat, with ramps doing what ramps do best. They pair beautifully with mushrooms and ricotta, and this one will be ready in under 30 mins! Method: Slice ramps into 2 inch pieces, separating green leaves from white bulbs. Toast bread and set aside. 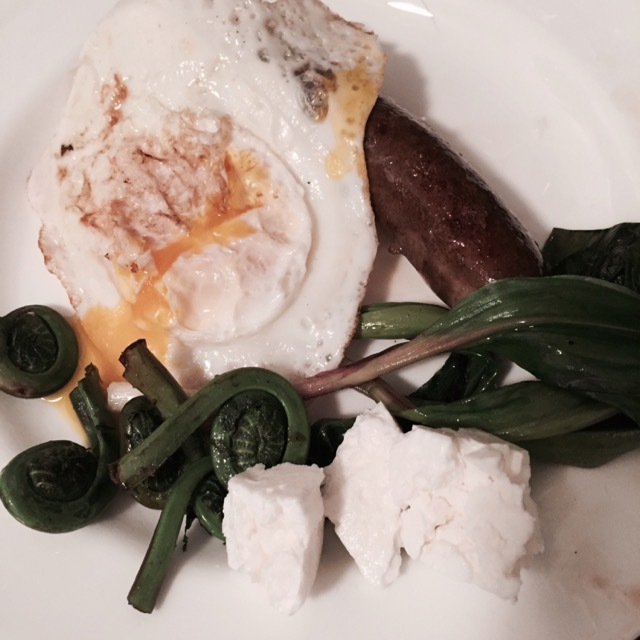 Melt half of the butter in a medium skillet, and add the white ramp bulbs. Cook 3-4 mins, until brown. Add green leaves and cook 30 seconds more, until leaves are wilted. Pour into bowl and set aside. Melt the rest of the butter and sauté oyster mushrooms until brown (about 5 mins). 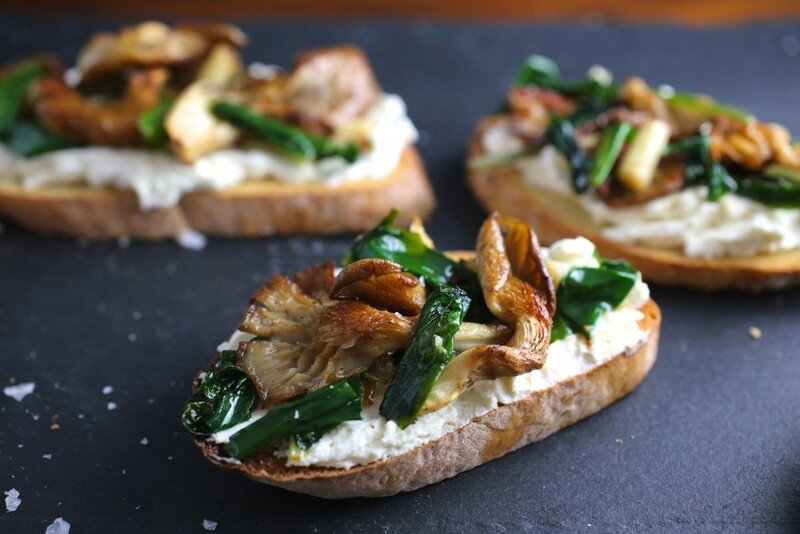 Spread ricotta onto toast, arrange mushrooms and ramps on top, and enjoy!